The Presidency has warned that Nigeria, currently Africa’s largest producer of cereals and grains risked famine from early next year, following a huge demand in the global market that is targeting the country’s surplus production. Shehu in a statement made available to State House correspondents in Abuja, on Monday said the Ministry of Agriculture has advised the President on the need to draw the attention of all Nigerians to this issue which, if not addressed promptly, could lead to a shortage of grains in the country by January. “Over the past year, Providence has blessed Nigeria with a bountiful harvest of grains, more than enough to feed the country and to export to other countries. 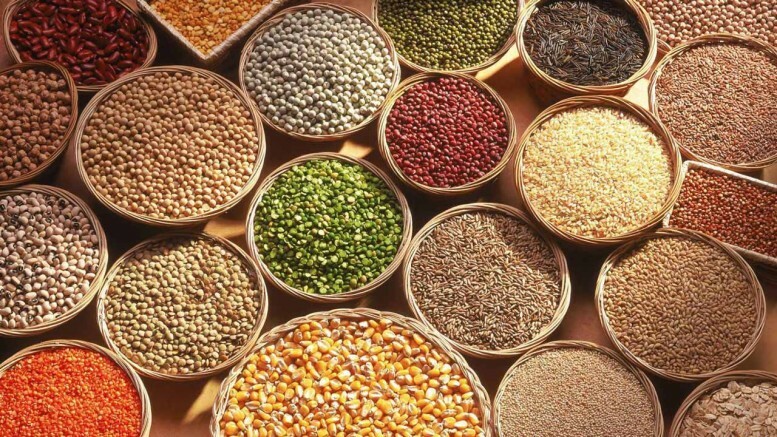 At present, there is a high demand for grains from Nigeria, from African countries as distant as Libya and Algeria, and from places as far away as Brazil. However, the ministry of agriculture has raised concerns about a massive rate of exportation, which could lead to a shortage of grains in Nigeria by January,” Garba said. The President’s Senior Special Assistant on Media and Publicity informed that the Ministry of Agriculture estimates that no fewer than 500 trucks laden with grains leave the Nigerian markets every week, headed for other countries. The major markets involved in this exportation are: the Dawanau market in Kano, Naigatari in Jigawa, Bama in Borno, and Ilela in Sokoto, as well as three other main markets in Kebbi State. He further explained that President Buhari has on various occasions reiterated his plan for Nigeria to become a food-producing giant, self-sufficient to the point of depending very little on imported food. “This noble plan could easily be defeated by the pull of the foreign market if food continues to leave our shores to feed people elsewhere. If care is not taken, Nigeria could face a famine by January,” he stressed. “Building our country into the edifice we envision it to be will require sacrifice and strategy from every single Nigerian. Let us remember that charity begins at home,” said in the programme. ‎On what the government is doing to avert the frightening situation, the Presidential Spokesman said that President Buhari has asked the Ministry of Agriculture to present a quick plan for the purchase of surplus grains to be stored in warehouses across the country to save for the rainy day, but opined that there were a need for moral pressure on exporters by traditional and religious authorities to curtail the depletion of the home market. Be the first to comment on "‘Grain Shortage Looms Nationwide Amid Export of Surplus Harvest’"